If you've driven down most any neighborhood street, you've probably noticed rust and paint failure on more than a few metal mailboxes. This is almost always due to improper surface preparation. Because metal rusts in the presence of oxygen and water, you must use a special type of primer to prevent rust from forming, or you will see the tell-tale deep orange color appear over time. Improper surface preparation will cause the mailbox to rust. 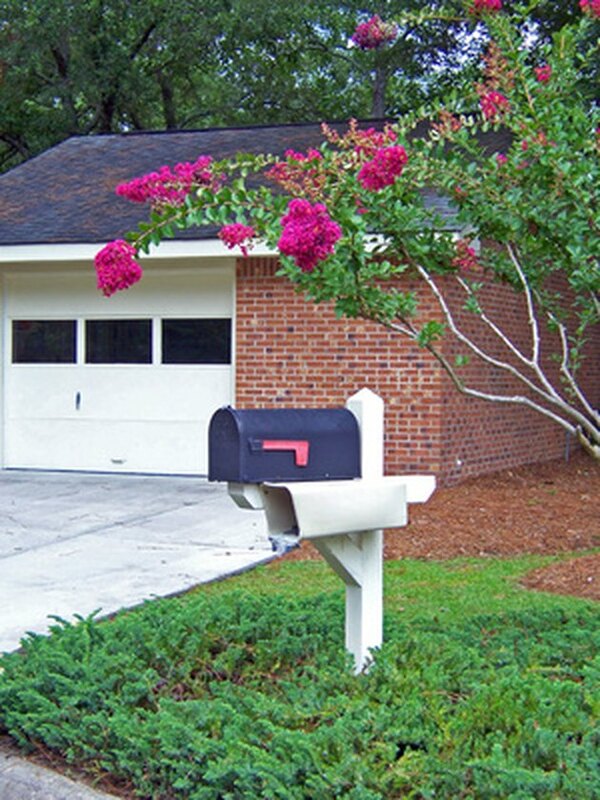 Remove the metal mailbox from its post and place it on top of a heavy-duty fabric drop cloth. Scrub the metal mailbox clean using a degreaser and a coarse brush. Rinse the mailbox thoroughly and allow it to dry. Cover parts of the metal mailbox you do not want painted with painter's tape. Apply a coat of spray zinc chromate primer to the metal mailbox to prevent it from rusting and encourage paint adhesion. Spray in brief, intermittent spurts. Do not saturate the mailbox with primer, as this may lead to runs and sagging in the finish. Allow the primer to dry for two hours, and then apply a coat of spray enamel paint in the same way you applied the primer. Allow the paint to dry for two hours, and then apply another coat if you can see the primer showing through.